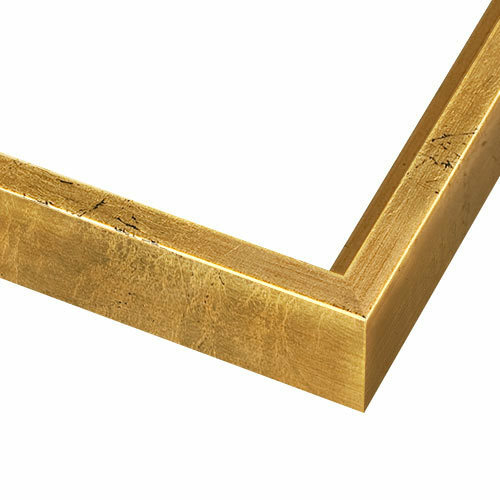 Get an understated and elegant look with this gold leaf picture frame. 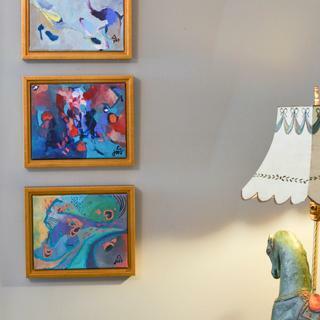 Made from natural wood by zero landfill pictureframes.com, the slightly burnished gold and floater design enhances your canvas art, suspending and separating it from the frame for a polished gallery look. Ideal for canvas up to 3/4”. This frame is a neat finish for artwork that doesn't want to be overwhelmed by a frame. Easy to attach stretched canvas to. Works for standard depth stretched canvas, not the deeper sided canvas. There is a different frame for deeper canvas. This frame is very elegant, and yet simple in design. I love the finished look it gives my paintings. It is easy to install. I don't shop around for the best prices on items like these, but I feel that the prices of these frames are reasonable given the quality. Like that it is all gold. A nice soft slightly burnished gold. Horrible brushed-on orange color! No longer that realistic gold leaf look shown in the website photo. I bought many of these in past years - they were made in NC and had a real gold leaf look - but more recently the company seems to have gone to China for their current stock which is a cheesy orangey color and is brushed on, not the "leaf" look in the cooler gold that the old ones were. These are terrible. Please bring back the classy old finish if you want my business! On the positive side, the company did accept a return and reimburse. Hello Despena! Thank you so much for your feedback. We appreciate you giving us the opportunity to reimburse you for the frame. Based on your comments, I have forwarded your concerns to our Marketing Department. The gold leafing has not been altered to my knowledge and our source has not changed. Perhaps you received a small portion of the moulding that had a slight color difference. We will certainly follow up with you. If you need further assistance, please let us know. Happy Framing! The tone is a little too orange for me. I actually sprayed it with a mist of a yellower gold to lighten it up a bit. I've purchased two of these frames for different sized paintings. They elevate the artwork and look so polished. The frame is thin enough to not detract from the piece and looks fantastic. The frame looks great, but my standard canvases that I bought at Michael's do not fit in the frames. Very disappointing considering the cost of these frames. Don't think I would buy from this site again. Hello Bethany. We are please to know that the frame looks great! We certainly do not want to cause you any disappointment. Please allow us to help you find a frame with the proper depth. This beautiful frame also comes in a depth of 1 5/8". Please use the UPS label we emailed you to return the frame. Once the frame is received we will give you a full refund. We apologize for any inconvenience. Just as described. Beautiful gold color. Brought my paintings to life. These frames are my absolute favorite!! I use them often and they’re the perfect addition to my art. 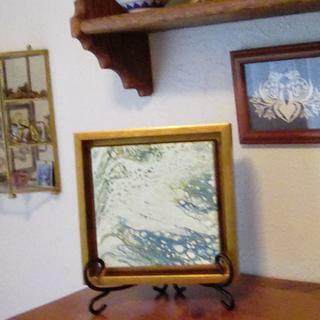 I love my CFS3 Gold Leaf Frame! 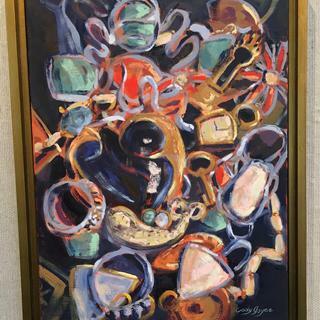 I framed my painting, "Baubles" in this beautiful frame. 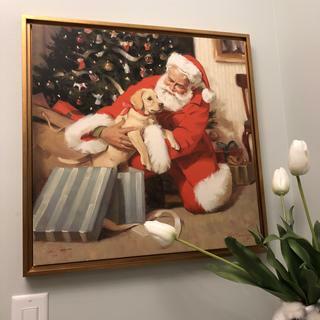 It was the perfect frame for this painting. The painting was accepted into the Wickford Art Association's Abstract/Avant Garde Show. Very pleased with my gold leaf frame. The shade of gold is perfect. Not too shiny. Really complements my artwork. Would definitely recommend this frame. Good quality product. The gold tone is slightly deeper than expected, nonetheless it adds bright tone to the room! Beautiful frame!! Well made and the gold is perfect. The frame echoed the painting's colors, brightness and energy. 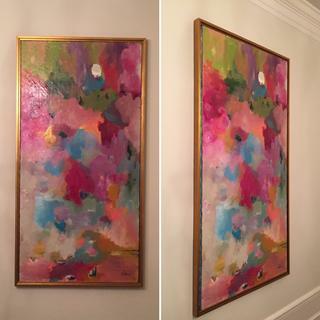 The painting sold itself for a good price right off my living room wall within two weeks after it was framed and hung. 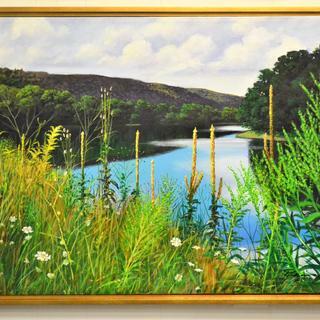 What could say more about how the frame enhanced the painting? I will be coming back to pictureframes.com for framed and matted prints of this painting shortly, which I plan on also selling. Therefore I wish to control any images of the painting, and not send them here. . It's always a pleasure to receive good quality frames, packed impeccably, and which make my artwork look special. Love this frame!! 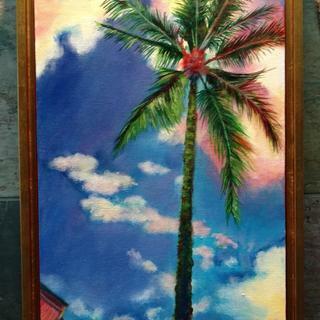 Really complimented my painting and helped showcase it. Thank you!! This is a beautifully constructed frame that looks as if I had it done at a pricey gallery. It’s very easy to install and they provide all of the hardware. Live chat is available and it makes ordering online a breeze. 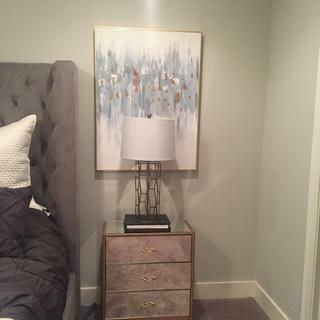 The gold leaf frame is very high quality construction and really complements the piece. Loved the frame and the painting was a snap to install. Would definitely buy again. Gold Leaf frame for my original art work. I love this. This frame is a studio quality that enhanced my canvas . I would highly recommend. Love these floating frames! So easy to put together and they look so professional. This was the perfect frame to showcase the painting from edge to edge. It doesn't overwhelm the art, but enhances it and brings out the brightness. The initial frame I ordered was broken. I called to get a replacement. The replacement arrived quickly and looks great! I am very pleased with the product and customer service. Love the product one thing you might mention is that you need to check if your canvas is painted on the sides because the sides show with these floater frames. Love the contemporary look of the frame. The frame is a good quality. Only use the screw to mount the metal bracket on the canvas frame. If you put one in the whole bracket on the frame it will show through. 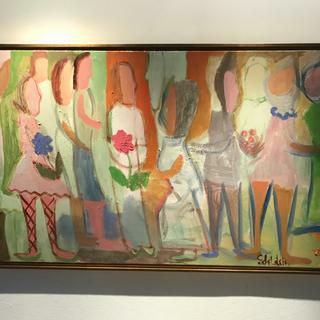 Complement of the Eno - S. Ruff A gallery owner said, "I could sell any painting in a gold frame". Thanks for a most pleasing experience, your frames are always top grade. The frame arrived on schedule. It is well made. It will do just what I want. Look great! Thank you for service. Taking back the broken frame and sending me a new one in a week. I only have the one piece of artwork, and it needed a frame. I like floater frames but how no idea how to measure for it. PictureFrame made easy. The frame was delivered several days earlier than expected, was easy to install my art into it and it looks great! Thank you. 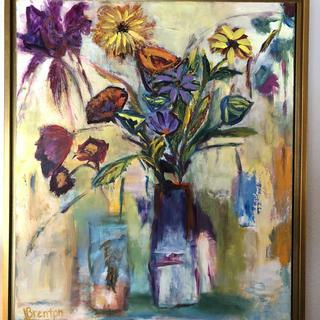 Perfect frame for this gorgeous painting by Boulder, CO, artist Laura Brenton! Love these frames. They look luxurious and the price was perfect!! Arrived as promised and as described. Looks nice, very satisfied. The frame is well built and beautiful. The quality is very good, especially for the reasonable price. I received it fairly quickly. This was my first time buying frames from them, - I'm sure that I'll return. The price was right and we love the way it looks with our picture. Pictureframes.com does an outstanding work on producing frames and shipping. Excellent craftsmanship in producing the frames, and the packaging ensures that the frames arrive intact and in excellent condition. Awesome! My paintings fit perfect and look great! They are great quality and easy to assemble. These are substantial and beautiful frames. Perfect floatets! If I ever need another one, now I know where to shop: right here. 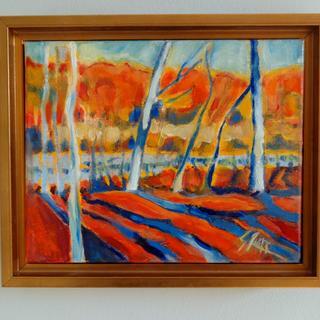 Love your frames for my paintings by Robbie Countryman Wood! Love these! So easy to put together and great quality! 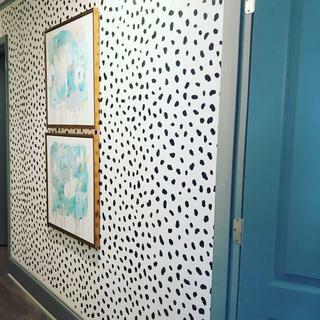 Beautiful, well made, a perfect fit and the art was so easy to install! Have already ordered another frame! My favorite frame for cAnvas floaters. Would recommend! Shipped perfectly, easy to frame my canvas, I would shop here again. Bought it as a surprise gift. Presented it with their art mounted in frame. It look beautiful. Everyone loved it. The floater frame lets the whole painting show up; the gold tone goes well with the warm colors of my painting. Instructions on how to use are clearly stated. One suggestion is: on the small floater frames (6 x 6) I do not need the large (2-hole) framing hardware. I just need the one-hole type. Beautiful frame in all colors and versions. Modern and traditional at once. I do like the look of this frame. I just wish that the corners would meet up. I ordered 3 of these and on each frame there is a tiny gap at 2 or 3 of the corners on each frame. I know it can be hard to make that corner but it can be done. I am sorry to hear that the corners didn't meet fully in the corners for you. Sometimes during shipping the frames can be jostled a bit causing some of these issues. Please let us know if you would like a replacement or if we can be of further service. Nice, great value. Would order from this company again. Confusion of what I was ordering. I had spoken on the phone regarding my disappointment in how many frames have a rabbet of less than 3/4 inches meaning that if you have a 3/4 inch oil canvas, they stick out in back and won't fit tight to the wall. The frame I ordered was recommended because the rabbet is much deeper and in fact yes, that part is great. But in ordering it, I didn't realize that somehow the order automatically added or included plexiglass and foam board as if I were framing a print. The hardware included also was only for that kind of installation. I was able to improvise other brackets to fasten the oil canvas into the frame, and when I went back to the site I found that sure enough that extra for the glass and board gets added automatically and you have to remove it if you don't want it and don't want to pay for it. I failed to do that and on the review of the order it didn't mention anything about it. At least I'm very happy with my end result. I am so sorry to hear about the difficulties with your order. We have since moved away from the practice of automatically adding the acrylic and backing to the frames. I am glad to hear you are happy with the end result. Good quality. Nice style. Fast shipping. However, the gold tone is very orange in color. VERY orange. I decided to spray paint it gold and now i love it. I would happily order from this company again but maybe not in gold. The painting for this frame has darker colors--dark reds/oranges, green, black at the edges, some yellow/gold; I think the gold leaf is a nice contrast and will help some of the colors within the painting "pop." Color matched the tones/hues of the painting. Right size as well. You need to check to make sure that your canvas size will fit this frame. When I first ordered I was not asked my canvas size and ordered this frame but it did not work. 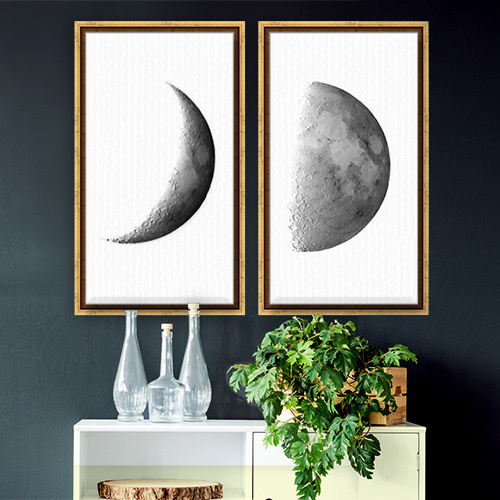 These frames are beautiful, but you do need to make sure your measurements are correct and your canvas thickness. Traditional subject (dog portrait) to be hung in a traditional setting. Simple, gold leaf always has a classic look. I choose this frame because of the gold leafing, the floating appearance, and the affordability. I am a professional artist and I am purchasing this frame for a client's piece. My art teacher and I looked at many samples, and this was the one color/tone that looked the best for the painting. For an existing painting that I have created that I am sending to gallery. I saw it on some other paintings and liked how bright it looked. Love the burnished gold tone of this frame. Very classy. 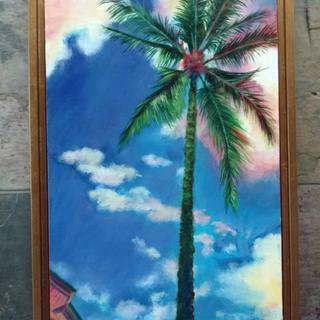 A friend has it for her art and it looks good! Warmth of the gold will go well with the colors of my cranberry landscape and the floater style keeps the 30X24 canvas in a manageable size. Gold is trend in metals. I have a large painting that needed framing, but I didn't want anything to fight with the painting itself. I also didn't want any of the edges being covered by a traditional frame laying on top of it. The floating frame seems to be the perfect solution. This gold frame is simple and elegant. It goes with everything. I ordered this to frame a painting for my sister and it looked fantastic! This is my new go-to frame! I want my art to stand out and the gold will pull together the warm accents. They are small works, so I want more of each painting to show up, rather than have some part of the painting behind part of the frame. A simple, clean frame without to much 'to do' to take away from the art I am framing. I've ordered this style frame for many of my paintings -- fits a stretched canvas nicely, easy to assemble. My only complaint is the very high shipping cost! Love this frame for it's sleek, simple line it makes around my paintings. Let's the painting shine! Economical way to frame with simple style. I have used this frame before and love it. I especially like the fact that is entirely gold leaf as I'm not fond of the frames with the black interior. 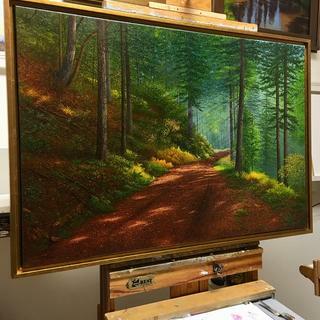 It is the perfect frame for my oil paintings! I wanted a floating frame with a narrow front. 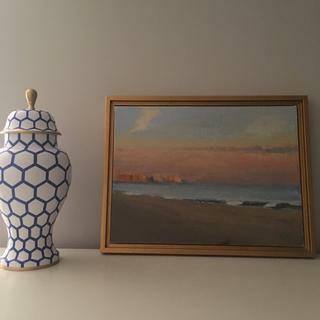 Love this color of gold and it looks great with my piece of art. It works well with my paintings and I am having an art show so I want to be consistent with the frames. Finishes off the artwork without distracting from the piece. Easily swapped out if the buyer wants a different frame. I've used these before and they look great on my paintings and reasonable price. Will this work for a flat canvas? Quality board behind the canvas to meet the rabbit size given as that is fixed. With the board behind the gap will be closer to what it should be and look nicer. Sticking with just a flat canvas could work but the insides will collect dust overtime due to the unused rabbit and also not be evenly lit. I hope this was helpful. I've only used these frames with stretched canvases. I'm not sure what you mean by flat but I've purchased the shallower frames for 1/2 deep canvases and the deeper one for 1" deep canvases. They are really well made and have elevated my art significantly. I love them. Not sure what you mean by "flat"? I used this for a 3/4" depth canvas. If you mean a painting on a board rather than one stretched on a canvas, I would say no since you need the wood stretcher to screw into and hold the painting in place. It sounds like you maybe reffering to a canvas panel. 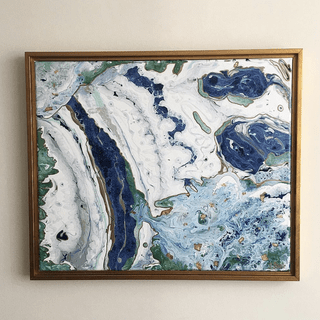 These frames are meant for stretched canvas, however we have seen people get creative and create ways to use a canvas panel, but it is not the intended use for this specific frame. I don't think so. It's for canvases with wrap around edges - two different widths are sold for narrow and wider sided canvases. Suggest ordering a free sample. No. Unless you glue it in. Really meant for a traditional canvas. You screw into the wooden stretchers of the canvas to mount to the frame. Will this frame work with a canvas that has a depth of 3/4 ", length 19 3/4 and width 24 inches? 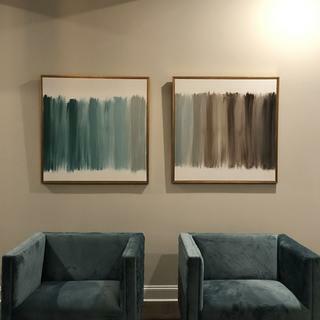 BEST ANSWER: Marlo - I am a customer that has ordered this frame but I think I can answer your question - I just went to the site and was able to select the 19 3/4 by 24 inch frame size. I used this frame for a 3/4" depth canvas and it worked great. The canvas in mine is 20x 24. If your canvas is 19 3/4 x 24, It will have an 1/8 inch wider gap in the width than the length. That would bother me, if it's ok with you, this frame will work. You will need to center the canvas carefully. If you are going to order, custom order the exact size you need and it should fit perfectly. If your frame is 20" wide, you can usually pull the sides in just enough to make it work. Be careful to get the spacing even. Hope this helps! The canvas depth is correct for this frame. With regard to your length and width, you can specify these measurements when you order. These frames are custom made. And, they're beautiful! Hope this helps. Yes it should work fine. The depth is perfect and the width and length will be cut according to your measurements. I love this style of frame. Yes. The frame depth is 11/16". The frame is suitable for a 3/4" canvas depth. BEST ANSWER: It’s super easy. They send you these little pieces that screw into the frame (in the back) on one end and into the wood of the canvas on the other. The screws are included and the wood is soft so no need for a drill. I’ve taken the frames off and on several times to swap out canvases—its very easy. We do recommend only screwing the brackets in to the canvas stretcher, they will hold the canvas in the frame. Placing screws in to the frame from the bracket can result in damage. (all of this is covered in the included instructions) Happy framing! Our frames come with instructions and hardware for framing. The frame will come with offset canvas brackets that screw in to your canvas stretcher bar to hold the artwork in place for a floating effect. Love the gold floater frames for my paintings on canvas! BEST ANSWER: This frame only accommodates up to 3/4" canvas. For 1 1/2" canvas you will want the larger depth version which you will find at this link. https://www.pictureframes.com/Custom-Frames/Natural-Wood-Custom-Floater-Frames/CFL3-gold-leaf-wood-canvas-floater-frame . We hope that this is helpful! Happy framing! Will this work for a canvas with 1 and 1/2” depth? Thank you for your inquiry! This frame is the small profile of the gold leaf canvas floater. For a 1.5" depth you want the large profile under SKU CFL3. 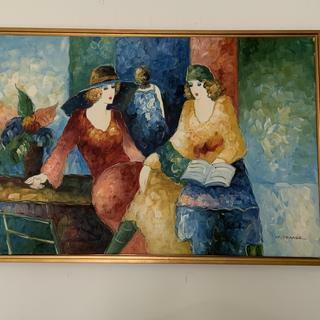 If you have any additional questions do not hesitate to contact our friendly framing experts at 1-800-332-8884.
would this frame work with a 3/4" canvas? BEST ANSWER: The frame will work with a 3/4" depth canvas since the depth of the frame is 11/16". The canvas will stick out the back of the frame by 1/4" which will not be visible while hanging on the wall. Will this frame work with a canvas that has a 3/4" depth and length 19 3/4, width 24inches? Can this be used on a wood painting? BEST ANSWER: This can be used on a wood painting. The depth of the frame is 3/4", therefore, as long as the wood does not exceed this depth, it can be flush with the frame. Thank you! BEST ANSWER: Hello Joan. We cut our frames by 1/8" and we ask that you enter the exact size of your artwork. Please consider the depth of the canvas and take account of the depth/rabbet of the Frame. Thank you for your inquiry! Which frame is best for a 3/4 in canvas, the large or small floater frame? BEST ANSWER: Hello Carol! The frame you have selected is perfect for a 3/4" canvas. Please let us know if you have any further questions. Happy Framing! I have a poster thats 18x24, will this work for it, the depth is very thin, like a movie poster? BEST ANSWER: Hello! This beautiful frame is designed to support canvas and will not work with a poster. Please consider using the gold leaf frame picture below instead. If you need further assistance, please let us know. Happy Framing! The stretcher is 16 x 20, but the canvas and staples add about 1/8 of an inch. Will a 16 x 20 frame work? 16 1/8" x 20 1/8" to accommodate for the staples on the canvas. Please let us know if you need further assistance. We can be reached at 1-800-332-8884. Happy Framing! Will this frame work with a 7/8" depth canvas? I know the canvas will stick out slightly from the frame. I'm not sure if this will look strange with a floater frame. BEST ANSWER: Yes, the canvas will work with the frame. As you know, the canvas is 1/4" deeper than the frame so it may not be completely flush and will protrude from the front of the frame slightly. This may not be visible to the naked eye unless you are viewing the canvas from the side. Let me know if you have any questions. Thanks. What is the depth of the outside frame? BEST ANSWER: The width of the frame is 3/8". does it matter what the depth of the canvas is or only width and length of artwork? BEST ANSWER: The depth of the canvas, and the depth of the frame need to be as close as possible. This will prevent any extra space from being behind the artwork. Also, the depth of the canvas and frame being close will make the artwork flush with the back of the frame. For example, if the canvas is 1" deep, you will need a frame that is 1" deep or more.